Studi.se is a part of Komplementskolan Sverige AB providing innovative products and services enhancing learning for life through digital platforms and channels. 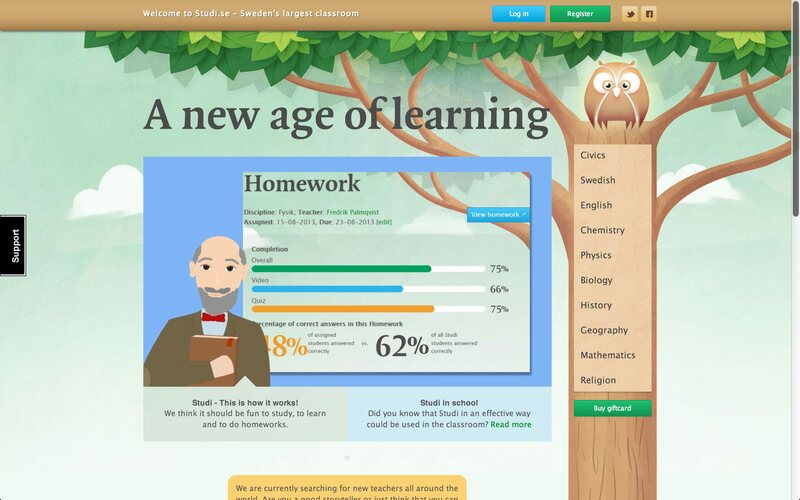 Studi is the new way of learning – online. An interactive and adaptive tutorial support on any device. Offering inspiration and life long learning through a fun, intuitive and awarding toolbox with the best teachers to be found. Tailored to your curriculum and learning needs.